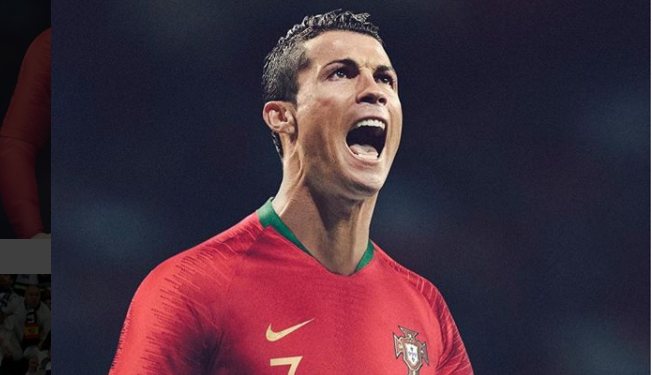 Portugal international Cristiano Ronaldo has given a new nickname from his national teammates called ‘El Comandante’ which means ‘captain and leader’. The Real Madrid star man has been labelled El Comandante since taking over the captain’s armband with his national side. The former Manchester United has played the more World Cup and European Championships matches than anyone else in the present squad. The 33-year-old has scored the most European Championship goals, with nine across tournaments in 2004, 2008, 2012 and 2016. During the unveiling his latest boot range with Nike, Ronaldo said: “When you play for your country you want to win, you want to defend your colours. “When I play for Portugal I feel happy, I feel good, not just for myself but for my whole family. “My friends are Portuguese, my roots are there. To be captain of the Portugal national team makes me proud, of course it is great. “I like to be the leader of the team. When I am there I am one of the oldest, with the most caps, most goals, everything. “Size doesn’t mean anything, we are a small country but we win great and big competitions. “El Commandant – I like the word, it means leader or power, in my opinion. Ronaldo scored his 50th career hat-trick in the 6-3 demolition of Girona at the Bernabeu and he is currently the top marksman in Europe with 35 goals from 37 matches. Portugal will be filing all out in the Russia 2018 World Cup in a group that have Spain, Morocco and Iran. 0 Response to "Ronaldo Gets a Nickname From His Portugal Teammates (See Details)"